Cultivating start-up businesses and the local creative industry is crucial to Townsville's economic growth. Council supports and facilitates a number of initiatives that aid the creative industries and start up businesses operating in Townsville. Townsville City Council is a Film Friendly council. We offer the screen industry a variety of assistance as well as a streamlined application process. Find out more about the growing opportunities offered in the Townsville Film Industry by downloading the Townsville North Queensland Report on Film Industry Opportunities. Our Film Locations Gallery showcases information and photographs of locations from all over the region. 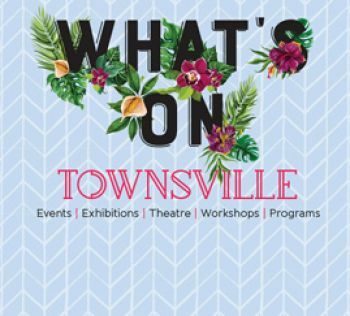 Please note: This link will take you outside of the Townsville City Council Website. The drop down menu at the top of the page will not display when you hover over it with your mouse. To go back to the public website, please click on one of the links at the top of the page. If you are interested in having your property/venue considered as a location for filming and want to be included in the North Queensland Film Locations Gallery, please register your location by using Screen Queensland’s Location Submission form, available on their website. If you want to be a part of a film crew or participate in productions of a movie, please register as a Crew Member or Industry Vendor using Screen Queensland’s Crew & Facilities directory registration page. Discover our regional film locations through the high quality photos in the Townsville North Queensland Film Locations Guide below, or download the guide as a PDF. The Australian Government recognises that a competitive creative industries sector is vital to Australia's prosperity - that a creative nation is a productive nation. The government's long history of support for arts and culture has enabled many artistic and cultural communities to prosper. Both State and local government agencies are working hard to sustain creative businesses and talent. Growing the creative industries in Townsville is a two-year collaboration between Townsville City Council, James Cook University, and Creative Industry members. The video below showcases key locations and creative projects across the region, as part of the Screen Locations Guide launched in 2016. We want to thank Lior Cohen from Visual Reflection and his team for creating the video. It is a great example of local talent at work. Growing the creative industries in Townsville was a two-year collaboration between Townsville City Council and James Cook University. The report identified Townsville’s digital and creative industries as an untapped path to jobs and new investment in the city, and makes a series of key recommendations for promoting growth within the sector, including six key points specifically for Townsville City Council. Townsville Creative Industries is a group of volunteer creative professionals established to drive industry growth and implement key recommendations in the "Growing the Creative Industries in Townsville" report. With support of the Regional Arts Development Fund the Creative Industries Cluster have produced a video and website which aim to raise the profile of the local creative industries. Designed to enable creative industry and young entrepreneurs to turn new and innovative ideas into successful products or services, the first mentoring program was conducted in 2016. The nine week program, delivered through Innovation North Queensland, included an intensive learning program, access to highly experienced and successful mentors and networking opportunities. The top 4 participants delivered their final pitch as part of the Townsville Festival of Ideas in November. The mentoring program is supported by Townsville City Council and Advance Queensland, and through a Together Townsville partnership with the Philip Leong Youth Programme. On-going coaching and mentoring support. A regional tropical lifestyle in which to build your concept, start-up or program.